If you purchased pine that is already laminated, simply cut one piece 16 by 46-1/2 inches, making the seat (D). Then skip down to step 4. If you want to laminate the boards yourself, cut five pieces from 1x4 pine, each 46-1/2 inches long. Rip a minuscule amount from each edge to be joined, and place the boards side by side. Wipe glue on the adjoining edges, and clamp the five boards together using at least two bar clamps. Leave the assembly clamped for a minimum of 24 hours. Rip one edge of the laminated assembly to make the overall width 16 inches. You now have one seat (D) measuring 16 by 46-1/2 inches. 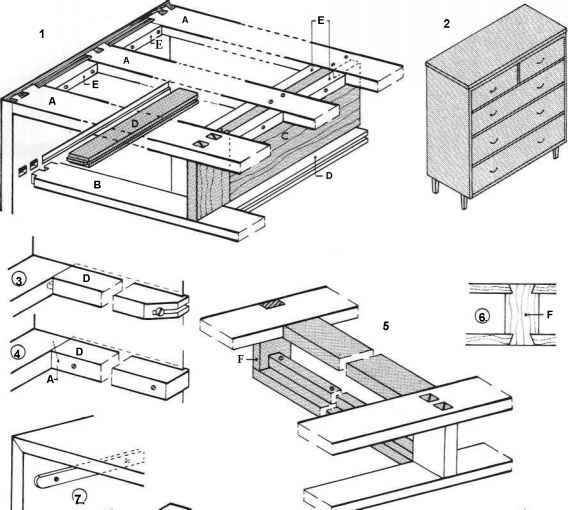 Next, as shown in Figure 5, cut a notch 3/4 inch deep and 14 inches long on each end of the seat (D). To provide the most support, position the 46-1 /2-inch-long front of the seat on the edge that still retains a full-width board (the non-ripped edge).